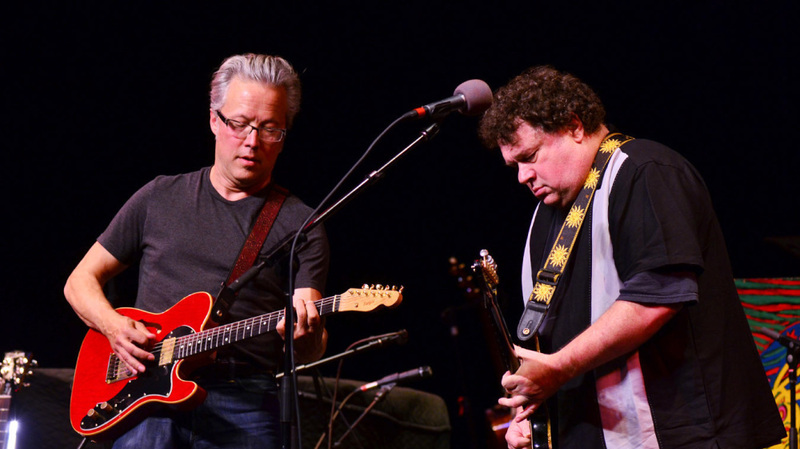 Foster And Lloyd On Mountain Stage The duo of Radney Foster and Bill Lloyd picks up where it left off 20 years ago, performing at Mountain Stage for the first time since it announced its retirement on the show. "What Do You Want From Me This Time"
"If It Hadn't Been For You"
When the two decided to call it quits in 1991, they chose Mountain Stage as the venue for their final show. Foster continued to see success as a songwriter and solo artist, while Lloyd remains one of Nashville's most sought-after session guitarists. Picking up where they left off, they play songs from their album It's Already Tomorrow, as well as their past hits "What Do You Want From Me This Time" and "Crazy Over You." Foster & Lloyd's performance is followed by Mountain Stage pianist Bob Thompson, with his interpretation of the Appalachian hymn "Wondrous Love." This show originally aired on Oct. 11, 2011.